Honolulu Harbor was originally a small, reefed basin created by the natural flow of freshwater from the streams of Nuʻuanu Valley. This flow of freshwater inhibited the growth of coral and created a long, narrow channel cutting through the reef into the deeper salt water. The main channel, which was the deepest, was flanked to the west by shallower outlets. Between these outflows, rose occasional spots of earth and coral, the beginnings of Sand Island. The islands were a popular and convenient port-of-call for fur, sandalwood, and whaling vessels. 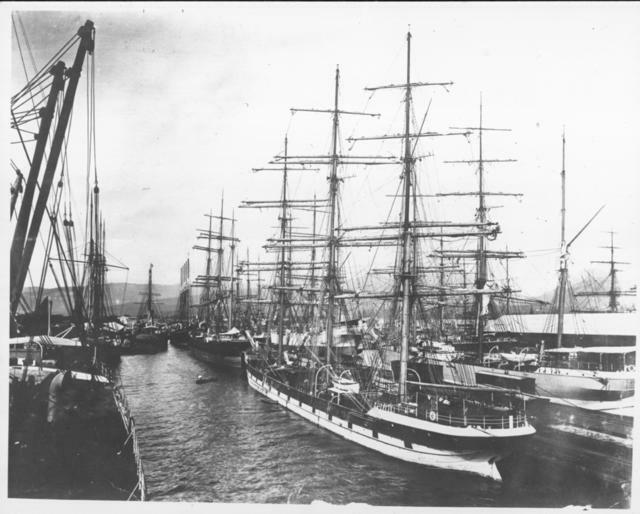 These maritime industries spurred rapid development of the harbor and surrounding community. In 1825, the first wharf was “developed” by floating a sunken ship's hull in place near Nuʻuanu Avenue. This wharf was the harbor’s only “terminal facility” for eight years. Other modifications to the harbor included developing a shipyard and wharf, and deepening the harbor by dredging. The dredged material was used to fill in the surrounding tidelands. The community surrounding the harbor also continued to grow. All community life was centered around supporting the harbor by providing all the goods and services to support vessels calling in port. In 1848, the gold rush in California spurred another surge in commercial growth and activity. The harbor was a port-of-call for miners, goods, and food headed to California. The growing prosperity of the harbor led King Kamehameha III to declare Honolulu to be the city and capital of his Kingdom on August 31, 1850. During the Civil War, the supply of sugar from the southern states was cut off, creating a significant increase in demand for Hawaiian sugar. 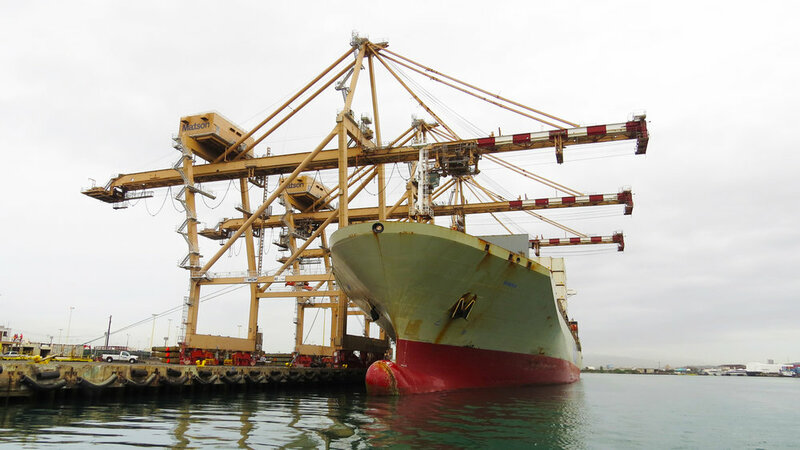 Hawaiian sugar exports spurred another surge in the local economy and development of the port. The harbor and waterfront were further developed with important infrastructural improvements including widening the harbor entrance; deepening the channels; and constructing wharves, warehouses, harbor lights, and seawalls. The dredge sediment from deepening the channels was deposited on the shallow off-shore reef, creating an island called Quarantine Island, now known as Sand Island. Quarantine Island was used to isolate ships with contagious diseases on-board. Development of Honolulu Harbor. Source: Honolulu Waterfront Master Plan 1989. 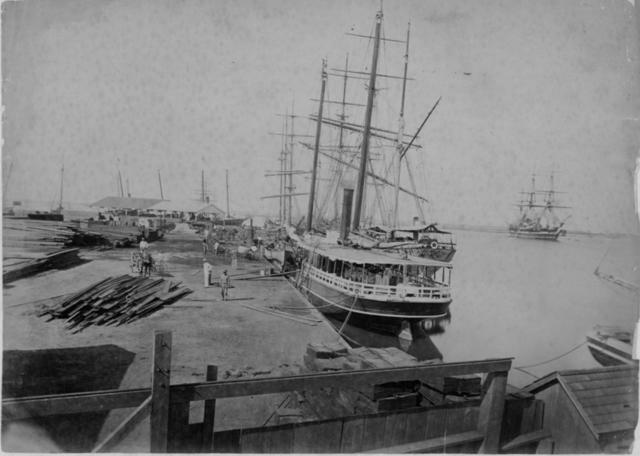 Honolulu Harbor around 1880's. Source: Hawai‘i State Archives Digital Collection. Honolulu Harbor in 1903. Source: Hawaiʻi State Archives Digital Collection. Honolulu Harbor in the 1920's. Source: Hawaiʻi State Archives Digital Collection. Honolulu Harbor in the 1930's. Source: Hawaiʻi State Archives Digital Collection. On August 12, 1898, Hawaiʻi was annexed by the United States and became an American port. By 1900, most of the eastern portion of the harbor was developed with wharves, piers, and other maritime support facilities. The western portion of the harbor was developed by private companies. During World War I (1914-1918), harbor activity greatly decreased as a majority of all shipping vessels were conscripted into service on the Atlantic Ocean. Decreased maritime shipments led to shortages of food and other basic necessities, which significantly raised the cost of living. During the 1920s, Hawaiʻi became a popular tourist destination. Visitors arrived and departed on passenger cruise liners. In 1926, the Aloha Tower was completed. It was a landmark for the Honolulu waterfront, serving as a welcoming beacon for passenger cruise liners and as a vantage point for harbor control. After Pearl Harbor was bombed in 1941, Hawaiʻi become a major participant in the Pacific Front campaigns. Pearl Harbor was the primary location for waterfront military activities. Honolulu Harbor served a secondary role. 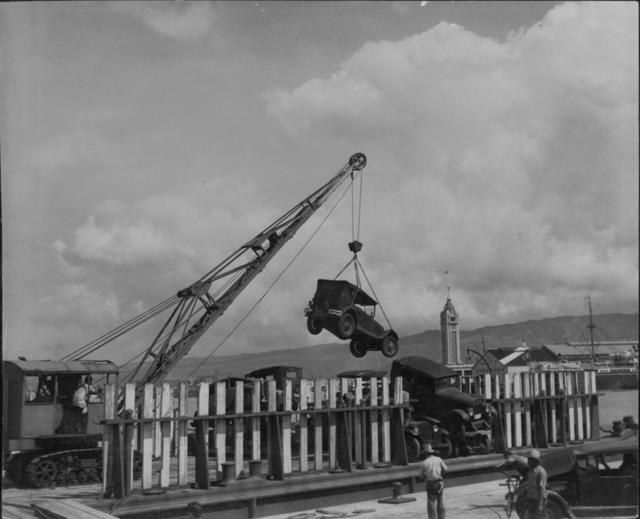 The U.S. Military improved harbor infrastructure, including dredging Keehi Lagoon for seaplanes, widening, dredging and lengthening Kapalama Basin, and constructing new piers. After World War II ended in 1945, the U.S. Military transferred ownership of the harbor back to the Territory. During the post-war period the local economy prospered, which spurred harbor improvements, including construction of Nimitz Highway, a second entrance to the harbor, seawalls, and continued landfilling along the shoreline. Development of the harbor. Source: Honolulu Waterfront Master Plan 1989. Lei vendor at the harbor during the 1930's. Source: Hawaiʻi State Archives Digital Collection. 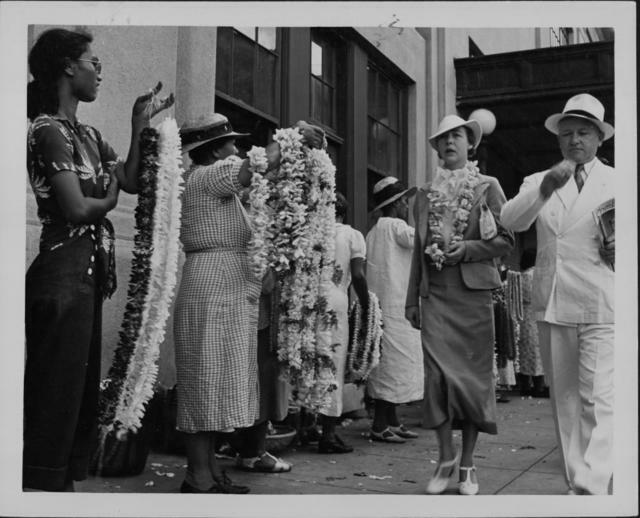 Lei vendors selling to passengers disembarking from cruise ships during the 1930's. Source: Hawaiʻi State Archives Digital Collection. Shipping containers being offloaded at Honolulu Harbor. Source: Laura Mau. Hawaiʻi became a state on August 21, 1959. During this period, maritime commerce grew rapidly. Harbor construction, dredging, and landfilling activities continued in order to accommodate increasing demands for goods and other essential materials. Hawai'i Department of Transportation, Harbors Division. (1997). O'ahu Commercial Habors 2020 Master Plan (Rep.). Honolulu, Hawai'i. Helber, Hastert & Kimura, & R.M. Towill Corporation. (1989). Honolulu Waterfront Master Plan (Rep.). Honolulu, Hawai'i: The Office of State Planning, State of Hawai'i.